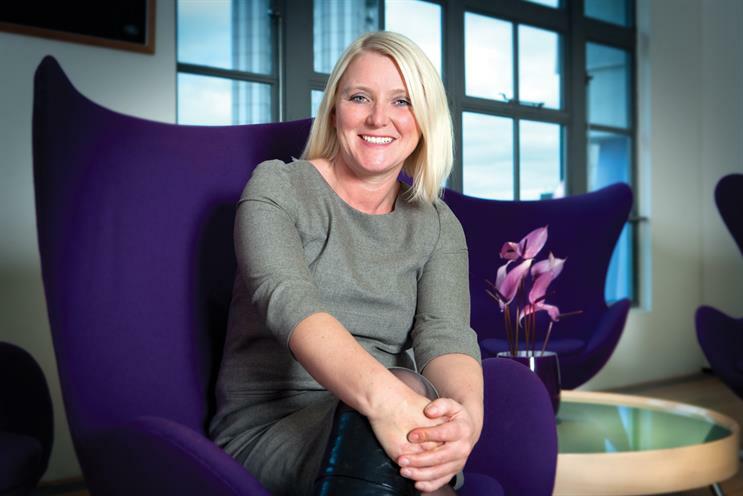 Upon meeting Wunderman’s chief executive, Mel Cruickshank, for the first time, you would be forgiven for thinking you’ve met her somewhere before. It’s only after getting to know her funny yet formidable personality that it dawns on you. She’s the kind of person you would have been friends with at school. Yes, she might have told you your outfit clashed or that you were developing "cankles", but at least you would have known that she always gave it to you straight. It has been this direct approach that has enabled Cruickshank to be bullish among some of the Bullingdon Club-type men at M&C Saatchi and become a successful chief executive of its direct marketing sister agency, Lida. However, while this style has attracted many loyal followers, it has also led to fallouts. Most notably, some say, with Lida’s co-founder David Harris, with whom she is said to have clashed in 2007, ahead of his departure from the agency. Awkwardly, Cruickshank’s new role sees her reunited with Harris, now Wunderman’s chief creative officer. Cruickshank is reticent about what must have been an uncomfortable first encounter between the pair, but she says Harris did in fact raise a toast to her appointment at a management dinner before her first day at Wunderman. Working with Harris is going to be key for Cruickshank if she is to turn around Wunderman’s somewhat lacklustre creative output, and the pair have already agreed that they will need a creative strategy officer to help improve the agency’s work. With this is mind, it begs the question: why did Cruickshank leave an agency riding high to go to one that isn’t? "I was happy at Lida and wasn’t looking to leave, but when I was approached by Wunderman, my eyes were suddenly open to working at a network and I was blown away by its global capacity. I was looking forward to a new challenge," Cruickshank points out. She denies speculation that her departure was due to a lack of autonomy at Lida. Cruickshank had been a key part of Lida’s success, joining in 2000 as a group account director before eventually being promoted to chief executive from managing director in 2009. During her tenure, she helped the agency win clients such as Mini, Boots and O2. Therefore, her move to the slower-paced, network-driven Wunderman was a surprise. The agency does have a solid enough base, with clients such as Microsoft and Ford, and more than 300 staff. It also recently won EDF Energy’s direct marketing business and has in-house data and digital capabilities with the specialists Blast Radius and KBM Group. Despite this, in recent years, Wunderman still has not been the type of agency to scare many rivals on a pitchlist. This is something Cruickshank will be looking to change. She concedes that the agency has been slightly jaded in recent years, making her brief to shake things up crucial. "Because I am down to earth, I make things happen," she stresses. "One of my challenges, though, will be looking at how we can be more fluid internally and increase the speed to market for some clients." However, she also thinks part of the reason for Wunderman’s uninspiring reputation is because it hasn’t done enough shouting from the rooftops about its achievements. It was an ability Lida had been very good at, mostly due to her personal efforts. This is something that she will be looking to recreate. While self-promotion could be part of the problem for Wunderman, Cruickshank still has a mighty challenge on her hands if she is to turn the agency into the dynamic creative hotbed of innovation that it needs to be to surpass rivals. Creating an agency that attracts talent is definitely one of Cruickshank’s goals. "We want to be the agency that everyone wants to come to creatively and for new business," she says. "While we’ve been great, there’s something we’ve been missing. I want us to be brilliant, so we’re putting a plan together for 2013." As someone who says she has an entrepreneurial spirit, Cruickshank realises her success will be judged on new business and creative capabilities. Her friendly yet no-nonsense approach could be exactly what Wunderman has needed to make the great agency of yesteryear great once again.